It’s been nearly a year since I devoted a Monday Musings post to a specific author, my last one being Barbara Baynton last June. It seemed like time for another one, and Dymphna Cusack (1902-1981), I decided, could do with a little push. Best known for her collaborative novel, Come in spinner (1951, with Florence James), Cusack was, in fact, a prolific writer. According to Wikipedia, she wrote twelve novels, seven plays, as well as non-fiction and children’s books. This is not, however, going to be biographical. I did cover some of her history in my review of her memoir as a teacher, A window in the dark. Here, I want to explore her role in the development of Australian literature using commentary from her contemporaries found via Trove. We have had fine novels of pioneers and the bush; the world knows Australia as a land of gum trees and sheep, convicts and cattle, sundowners and flies. It is doubtful, however, whether an overseas student of our literature would even suspect that a very large percentage of the country’s population eats, dreams, strives, succeeds or falls in cities larger than most of those in Europe and America. Dymphna Cusack has realised this; she has deserted what has become almost a tradition in our fiction; she has broken new ground, and therein lies the importance of her book. Miss Cusack has laid bare the fallacy of this; the young woman of this era is still vulnerable; despite her mask of self-assurance she is still as open to hurt as the young woman of any previous generation. Perhaps even more so. Australian women seem to be developing an individuality in recent novels that is far more interesting and inspiring than the efforts of their contemporaries among the men. the job of translating Australia into words is too big a job for one person. It is probably the most exciting job in the world, because we are breaking new ground all the time. as a conversationalist she sparkles, brilliantly and wittily. She confesses to two passions (1) listening to Beethoven, and (2) surfing. And she would spend her spare time in the perfect world in arranging revolutions, for she thinks, most emphatically, that any kind of revolution is A GOOD THING. Unfortunately, it seems, in the opinion of contemporary reviewers anyhow, that Cusack’s interest in ideas/revolution/protest started to be detrimental to her fiction. It’s doubtful whether Miss Cusack’s most ardent admirers, even, would describe the book as a fine piece of writing, but at the same time it could not be denied that the Government [who gave her a grant] spent its money wisely. 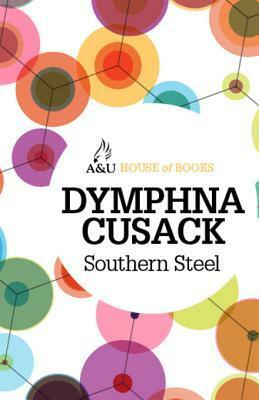 The novel is set in the steel town of Newcastle, where Cusack had taught, and deals with “family disunion, feminine rivalries, big business and war-time Australia”. But, according to our reviewer, it is “unnecessarily crude”, “seems outdated”, and puzzlingly introduces so many characters it “becomes rather difficult to keep up with them all”. Nonetheless, s/he describes it as “vigorously written” and says “it gives a forceful, though somewhat imaginative, account of the Australia we lived in during the war”. That “though” is interesting, implying the imagination here has not been used appropriately. And then there’s “the colour question”. Cusack wrote a novel, titled The sun in exile, about Jamaicans in London. The reviewer in The farmer and settler, in 1955, was not particularly impressed. S/he writes that “in an attempt to present a cross-section of views Miss Cusack puts into their [her characters’] mouths opinions often superficial and outdated” and, further, argues that “in highlighting the conflicts which flare up between immigrants and Londoners she seems to have written with an eye to dramatic effect rather than reality.” It’s “a well-meaning book”, s/he says, but it fails “to get under the surface of people and events”. And then the clincher: why, s/he asks, did Cusack have “to look overseas for her background and theme — Australia has racial problems of its own”. Good question, and in fact, Cusack went on to do just that. By any enlightened standards the social status of Australian Aborigines, their living conditions, education and prospects, our dilatory and torpid national conscience and the leisurely progress of our policies are little credit to a modern, wealthy, civilized and Christian community. enthusiasm leads her to over-simplify what is an immensely complex problem. There are more than two dimensions to this problem of race relations, and it is neither realistic nor good strategy to portray the blacks as all white and the whites as all black. Miss Cusack has not been able to avoid the main pitfall of the social novelist …. the temptation to overstate a strong case. Art, properly exploited, is probably the most powerful ally of the social critic, for it allows objective argument to be translated into direct emotional experience. But its disciples must be observed … its special ways of making points, its dependence on balance and proportion. If they are not, it easily degenerates into pleading and propaganda, which tend to defeat their own ends, discrediting their cause by the methods which they use. Now I need to read some of these later novels to see what I think. Have any of you read them? My survey here of contemporary responses is pretty superficial. It’s possible, probable even, that others felt differently about Cusack’s writing. Regardless, though, of whether critics universally admired all of her work, there’s no doubt that Cusack made a significant contribution to the development of Australian literature. You certainly come up with some fascinating stuff using Trove! I would just like to say about ‘deserting the bush tradition’ that the (male) literary establishment were great forgetters and that a generation earlier, at the end of the C19th the most popular Australian authors were Tasma, Rosa Praed and Ada Cambridge whose stories were all largely urban based. Yes, thanks Bill. I did mean to add that she wasn’t the first. I’ve read Cambridge and Praed …. Long before blogging … And have Tasma on my TBR. Of Cusack’s peers, M Barnard Eldershaw also wrote urban settings didn’t they. But clearly to the critics it was still unusual enough to make a point of. That’s the trouble when writers write fiction that protests or satirizes social/cultural/political issues, there are always critics who complain about lack of subtly or other such things. Personally I love it when fiction takes up issues with an aim to inspire change. Cusack sounds like a really interesting writer. I love that, Stefanie. I do too, which makes me want to read these books to see what I think. No, I haven’t read any of her novels, but you have me looking for them as well as getting Jungfrau. I would be particularly interested in Black Lightening. Wish me luck. I will, Marilyn! Southern Steel has been re-released by Allen & Unwin and will, I presume be in e-format as it was their version of Jungfrau that I read, but I don’t know about Black lightning. These are the two I’d most like to read. Thanks for the interesting post on Cusack. I’m running a workshop on writing about Perth on Saturday, and have been reflecting on the relative neglect of the urban in Western Australian fiction – of course, it went nation-wide! As a case in point, Katharine Susannah Prichard made her name with novels set in rural areas, and her three urban novels were less successful (Windlestraws, Intimate Strangers, Subtle Flame). Thanks Nathan … yes, when I was replying to Bill about writers contemporaneous with Cusack who went “urban” I was thinking that those of Prichard’s I know were rural. I wonder whether the WA situation is because Perth was still more like a country town then (was it?) whereas Sydney was urbanised very early on. Does that make sense? I don’t know much about early Perth I must say. Good luck with your workshop. 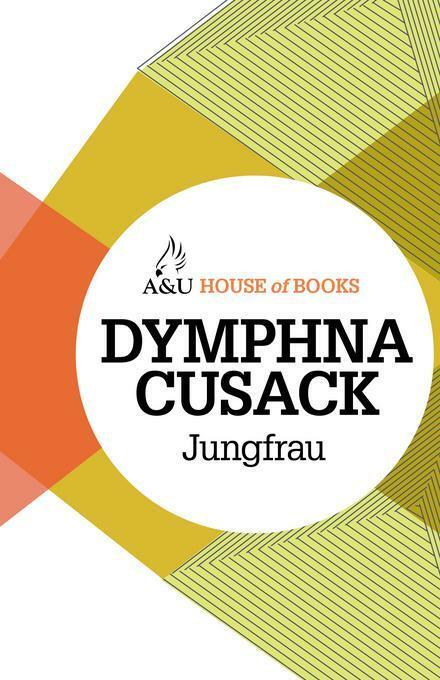 I have read some of Dymphna Cusack novels: Jungfrau, Black Lighning, Southern Steel, Picnic Races and Half Burnt tree but I do not remember them well. I read them over 40 years ago, and I think it was mother who put me on to Cusack. You have now put me on a search mission. I do remember Come in Spinner, but that is probably because it was a group discussion some years ago. I like your musings on our Australian women writers, they weren’t timid. Haha, no they certainly weren’t timid, Meg, I agree. I love them, for that. That’s great that you’ve read all those books by her. My Mum had books like The pea pickers, A house is built, and Henry Handel Richardson’s works (though she’s earlier I know), but I don’t recollect her having Cusack. I grew up as a boy in Tamworth. It was a remarkable street. One of the neighbours sent their daughter (a year older) off to Frensham. The father was a first cousin to the 1961 British PM Sir Alec DOUGLAS-HOME; another lass went to the Tamworth CofE Girls’ School – her father was the radio and TV pioneer of the north and north-west of NSW – and my mentor – god-father like; some were Dutch immigrants – Italian, of Chinese and German, Scottish, Irish and English backgrounds – and of Indigenous Gamilroi heritage. There was one childless couple of our parents’ age – who looked after my brother and I on Sunday nights through the early 1960s (i.e. they had TV, we did not – so there we went two or three Sunday nights out of four)! Her father was a first cousin to Dymphna CUSACK. Many years later, when I was searching for literature illuminating our national cultural diversity – DC was one of those whose works came into my hands. Although somewhat gothic (so I thought) her The Sun in Exile contained a heart which allowed for success in relationships crossing the so-called race divide which was rather uncharacteristic of the time – where ultimate disaster and tragedy for the couple was the more usual lesson for the reader to learn from. Dymphna was from West Wyalong – her father had a gold-mine – remind me please – was it the True Blue? (Or some equally fair-dinkum sounding title!) A West Wyalong mate has her father’s roll-top desk! I was appointed to my first teaching post at West Wyalong HS in early 1971. Why I didn’t take that up and went instead to Hay War Memorial High to teach is another story! Fascinating the paths life takes us, eh, Jim. I have a good friend who grew up in the West Wyalong area and whose mother and sister now both live in the town (having moved in from their respective properties). I had read that she was from West Wyalong, but I didn’t know (or had forgotten about the mine. Hmm, just checked her teacher memoir, A window in the dark, and in the intro it says that her father’s mine was True Blue (well done) pegged in 1892. I have connections with Hay, but perhaps we’ve mentioned that before? My grandfather was born there, and his middle name was Hay for it! In a world of Tony Abbotts and David Camerons very much calling the shots I have some sympathy for a Cusack battling against the status quo. That 1939 interview with the perhaps flippant comment about the desirability of revolutions ( some may be necessary but none come without enormous suffering and different kinds of injustice) does seem rather uncomfortably radical chic. I always admired Doris Lessing’s grappling with these kind of issues. Yes, you’re right … it probably speaks of both the frustrations and optimism of the period. I think (hope) the uppercase “GOOD THING” at the end does suggest the reporter trying to capture a tongue-in-cheek tone. Just catching up on all your excellent posts, Sue! I particularly like your ones on Cusack (which coincided with Marilyn’s review of Exiles at Home – not quite the same period but close) & have added her to my reading list. I’m wondering too if you’ve come across the book ‘As Good As a Yarn With You’? It’s a collection of letters between a number of women writers from the 30s to the 50s – you might enjoy it! Thanks Jessica. No, I hadn’t heard of that book. I’ll look for it. I’m currently reading Kate Llewellyn’s letters – contemporary of course – but a good read. Having read several of our 1930s-50s writers, though, I’d be fascinated.